Any eligible candidate, who aspires to join any of the Participating Organisations listed below as a Clerk or in a similar post in that cadre, is required to register for the Common Recruitment Process (CRP Clerks-VIII). The Exam will be conducted in two tier i.e. the online exam will be held in two phases, Online Preliminary & Online Main. Candidates who will qualify in Online Preliminary Exam and shortlisted will have to appear for Online Main Exam. Depending on the vacancies to be filled in during the financial year 2019-20 based on the business needs of the Participating Organisations and as reported to IBPS, candidates shortlisted will be provisionally allotted to one of the Participating Organisations keeping in view the spirit of Govt. The validity for CRP Clerks-VIII will automatically expire at the close of business on 31st March 2020 with or without giving any notice. A candidate must be either: (i) a Citizen of India or (ii) a subject of Nepal or (iii) a subject of Bhutan or (iv) a Tibetan Refugee who came over to India before 01st January 1962 with the intention of permanently settling in India or (v) a person of Indian origin who has migrated from Pakistan, Burma, Sri Lanka, East African countries of Kenya, Uganda, the United Republic of Tanzania (formerly Tanganyika and Zanzibar), Zambia, Malawi, Zaire, Ethiopia and Vietnam with the intention of permanently settling in India. Provided that a candidate belonging to categories (ii), (iii), (iv) & (v) above shall be a person in whose favour a certificate of eligibility has been issued by the Govt. of India. 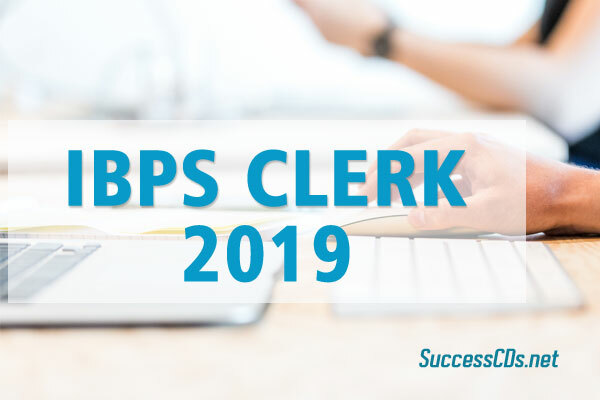 Candidates are first required to go to the IBPS’s website www.ibps.in and click on the Home Page to open the link "CRP Clerks" and then click on the option "CLICK HERE TO APPLY ONLINE FOR CRP-Clerks (CRP-Clerks-VIII)" to open the On-Line Application Form. Candidates will have to click on "CLICK HERE FOR NEW REGISTRATION" to register their application by entering their basic information in the online application form. After that a provisional registration number and password will be generated by the system and displayed on the screen. Candidate should note down the Provisional registration number and password. An Email & SMS indicating the Provisional Registration number and Password will also be sent. They can reopen the saved data using Provisional registration number and password and edit the particulars, if needed.